Hi! 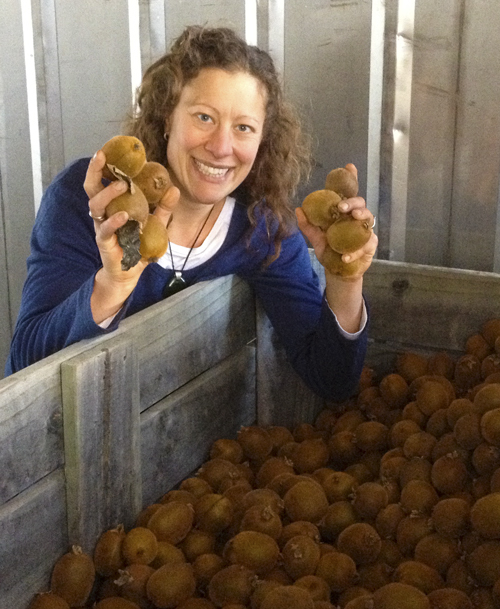 I’m Lucy and I am the owner, packing slave, delivery driver, administrator, chief cook and bottlewasher at Fresh2U! Supporting organic producers and working within my local community are two key areas that I believe are integral to the future of this country and the planet, so it is a pleasure for me to provide our customers with produce which is untainted and as local as possible. I look forward to providing you with the best of local, organic produce to support your health & longevity & that of the planet & our community. 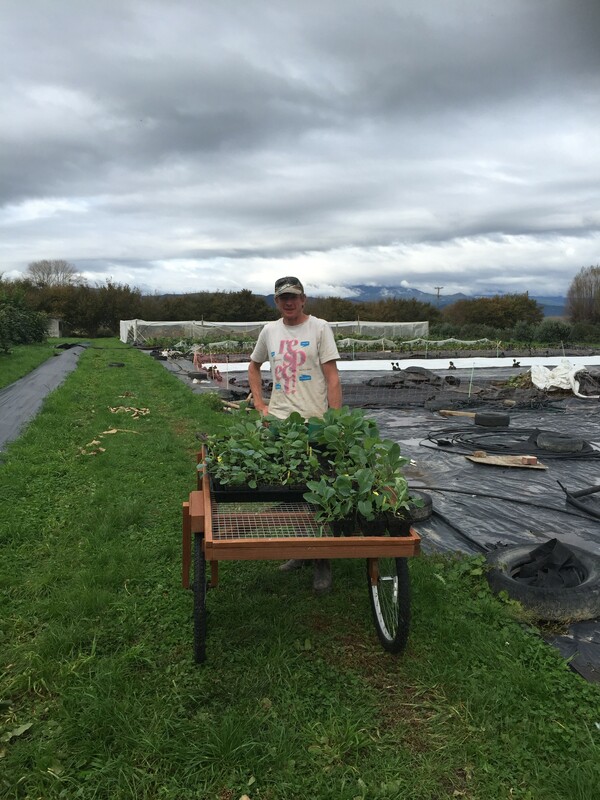 himself, Scruff has been the house husband & produce grower (amongst other skills) for his family for the last 13 years and really appreciates a good bit of veg – we talk growing tips, recipes & more as we pack up your deliveries each week. 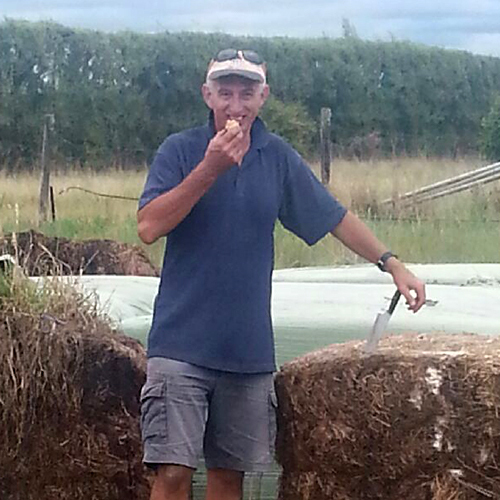 Max & Karen are the new growers at Tasman Organics, Te Awanui in Appleby where we source some of our delicious produce from & also where the Fresh2U packing operation is based. 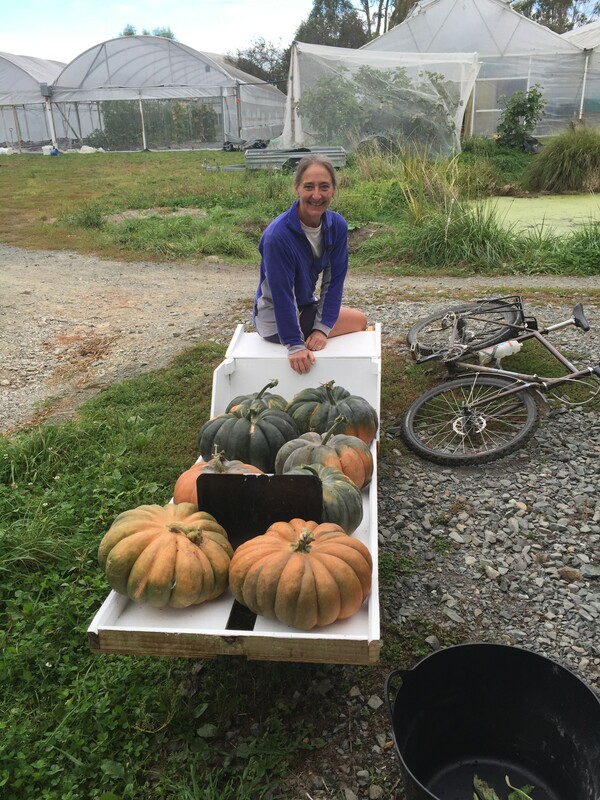 Taking over at Tasman Organics is a new venture for Max & Karen who were both Maths teachers at Nayland College & its exciting to see their logical maths minds being applied to the art of growing organic fruit & veges! Max is originally from Golden Bay & Karen from Minnesota, USA. They are both keen outdoorspeople enjoying cycling, kayaking & tramping, Karen also plays Oboe in the local Greenhill Orchestra & Max loves to build self designed contraptions for use around the farm. Since the inception of Fresh2U as an enterprise run by Wolfgang Mann (ex owner of the Appleby farm) & Nicola Galloway (author & blogger extraordinaire at Homegrown Kitchen), Fresh2U & this Appleby property have always worked together to supply organic produce to the people of Nelson/Tasman & beyond. Even though the farm has changed hands (and names!) in that time, the relationship between farmer, Fresh2U & customers has been maintained as one of the core strands of the business. We support each other to promote organics in the region & supply the best quality produce to the best customers! 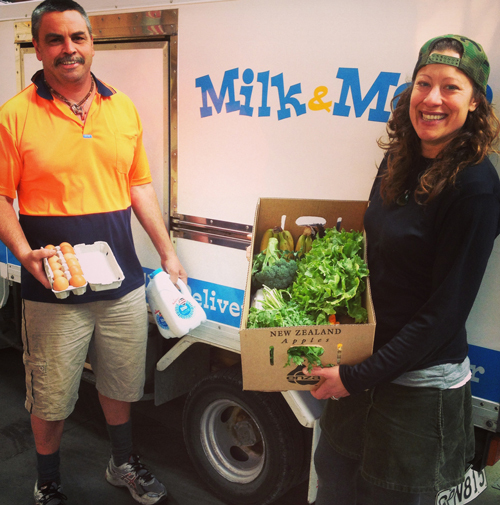 Fresh2U works with Milk&More to get your boxes delivered to you. Sharing Milk&More’s chiller vans keeps your produce in the best possible condition on its journey to you. Plus, you can also order milk & The Nelson Mail to be delivered at the same time. Milk&More cover Nelson, Stoke & Richmond.